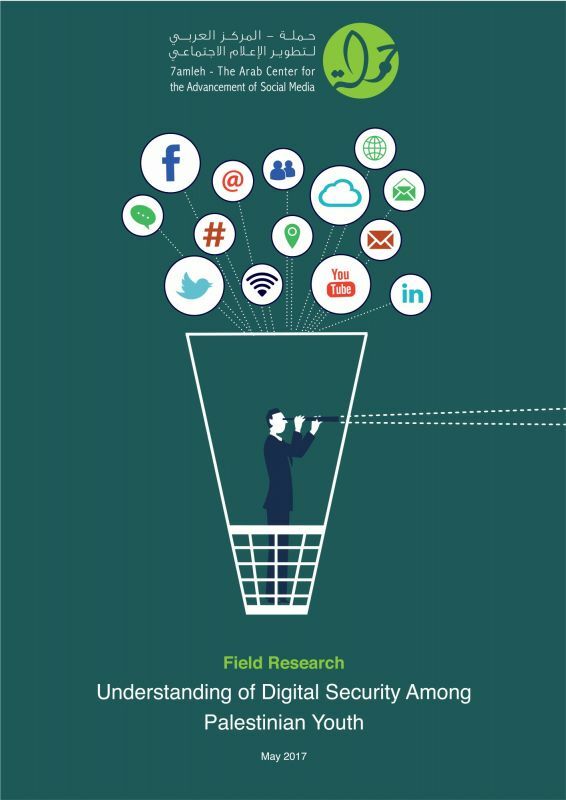 28.01.2016 – Haifa: 7amleh – the Arab Center for Social Media Advancement published the results of a field face-to-face survey on Palestinian youth’s digital security in the West Bank, the Gaza Strip, and for Palestinian citizens of Israel. The poll involved 1285 young Palestinians between the ages of 15 and 25. It was conducted back in November 2016, and aimed at monitoring privacy violation, online tracking, digital safety awareness, young people’s usage of internet, and risks and ways of protection. 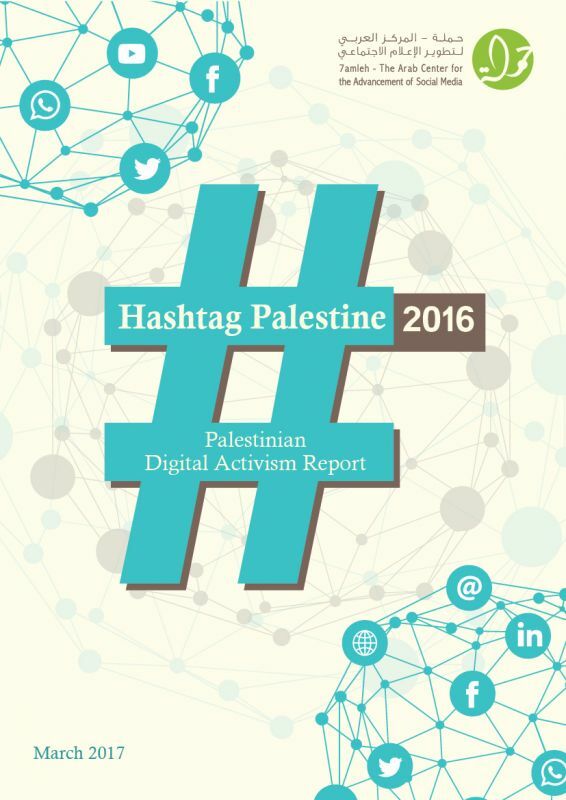 28.01.2016 – Haifa: 7amleh – the Arab Center for Social Media Advancement published the results of a field face-to-face survey on Palestinian youth’s digital security in the West Bank, the Gaza Strip, and for Palestinian citizens of Israel. The poll involved 1285 young Palestinians between the ages of 15 and 25. It was conducted back in November 2016, and aimed at monitoring privacy violation, online tracking, digital safety awareness, young people’s usage of internet, and risks and ways of protection. Nadim Nashif, Director of 7amleh, said that this poll is the essence of the center’s work, which seeks to promote digital security awareness in Palestine; i.e. the wise and safe usage of internet that gives no opportunity for other users, authorities and companies to violate the one’s privacy. The results indicate that 19% of Palestinian youth were intercepted by the authorities; i.e. arrested, or subjected to investigation by the Israeli authorities or the Palestinian authorities in the West Bank and Gaza for expressing their opinion. Individuals in the West Bank, however, had the highest percentage of this; 35%, compared to 11% of Palestinian citizens of Israel, and about 9.5% in the Gaza Strip. 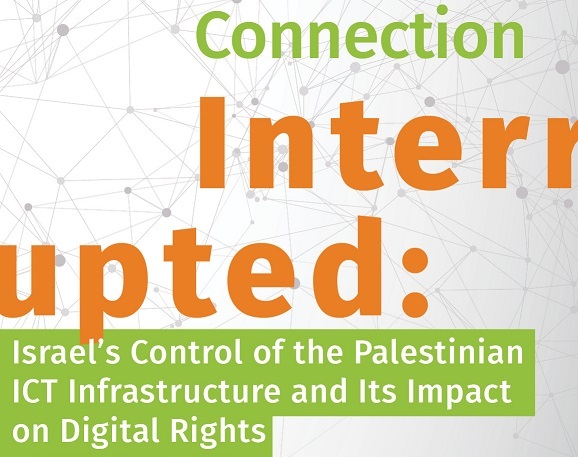 In the same context, it turns out that 8% of young people were threatened or blackmailed on social networks; of whom 12% in the West Bank; 9% of Palestinian citizens of Israel, and 5% in the Gaza Strip. In addition, 11% of young people said that they were forced to delete content of a political nature; of whom 19% were in the West Bank, 11% of Palestinian citizens of Israel, and 2% in the Gaza Strip. As for the poll, 94% of the interviewees had internet access in their residence, and 97% of them used it for social media purposes, 78% to watch movies and listen to music, 59% to follow up on news, and 56% to play games. Young people, 68%, stated that they use Facebook out of other social media the most by 68%, 11% said they used WhatsApp the most, and the third most popular social network was YouTube, by 6%. The results also revealed that 20% of Palestinian youth were attacked by hackers; 29% in the West Bank, 18% in Gaza, and 13% of Palestinian citizens of Israel. With regard to the type of the attack, 77% were exposed to password theft, 58% to viruses, 22% to spyware, and about 19% to online monitoring. It is also clear that there is a related issue with the youth’s use of security measures; 33% do not change their passwords and just 13% do it every 6 months. As for activating the privacy settings on Facebook and other social networks, 5% said they do activate them, while 10% do not even know about them. The data also shows that people in the West Bank are the ones who activate the privacy settings the most. Moreover, 48% of the youth share and publish personal photos and content on social media; 53.2% of Palestinian citizens of Israel, 49% in the West Bank, and 40.9% in the Gaza Strip. However, it is clear that males share more personal content than females; 56.2% compared to 39.8%. The results also indicate that 44% use anti-malware software on their computers, while 54% said they used such software on their smartphones. With respect to using private browsing, only 15% said they used it, 43% did not, while 40.4% did not know about it. In the same context, only 7.8% used VPN, 41.4% did not, and 50.8% said that there is no such thing. When they were asked about encryption, only 13% of the interviewees said they used it, compared to 51% of those who did not, and about 35% did not know about it. Lastly, 37% used location, 51% did not, and 10.8% did not know about it. 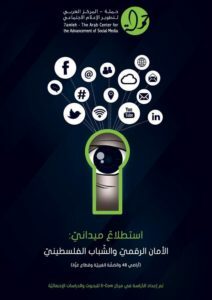 It is worth mentioning that 7amleh has already launched a digital security and protection awareness campaign that is available on the center’s website. The poll was developed by S-Com Center for Research and Statistical Studies and funded by the German Deutsche Welle Akademie. 7amleh is a professional Palestinian social media center, dedicated to building and managing effective civil campaigns and training individuals on political and social media and marketing. 7amleh also works to advocate for Palestinian digital rights on a local and international level.